Nicola Cortese clearly has a vision at Southampton and his no-nonsense, sometimes hard-ball approach has so far had a positive effect on the club reaching the Premier League. His timing seemed fairly strange in sacking Alan Pardew and moreso Nigel Adkins, but there are certainly grounds to believe that current boss Mauricio Pochettino is more capable of fulfilling visions of qualifying for Europe and eventually reaching the Champions League. It has to be accepted that sometimes there is only a small window to make a big decision and the availability of others dictates the timing of such a situation. Cortese has got most things right so far, except the odd PR gaffe, and the chairman does look a pivotal cog in helping Southampton’s continued climb up the English football ladder. So, it would undoubtedly cause some disturbance if he walks away from his contract like he is able to this summer, should the Liebherr Trust fail to offer reassurances over the future direction of the club. The comments of manager Pochettino that he will resign if Cortese is not the chairman brings another layer to the saga, even if it does raise the question of whether the Argentine is right in being committed to the chairman more than the club? Given that many of the playing staff are also close to Cortese, his exit could be the start of a backwards step for the Saints, with a raft of the squad potentially deciding that their futures may be better elsewhere. There is the opinion that this could be a stunt to acquire a bigger transfer budget next season and the publicity that Pochettino’s words will cause should strengthen Cortese’s position. 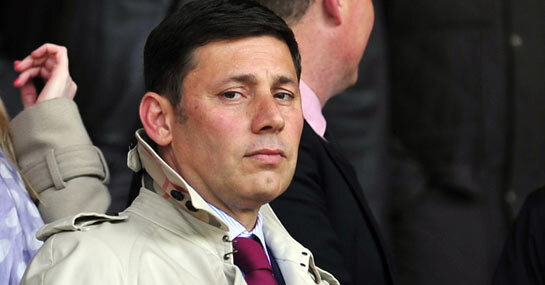 A failure to back Cortese could additionally show that the Trust in charge lack the true ambition of aiding Southampton in becoming a true Premier League force, considering they are among the wealthiest owners around. The common feeling is that Cortese leaving would generate more disaster than success and it would be particularly interesting as to how well Southampton do with Pochettino in charge from the start of a season with a fresh squad at his disposal. His high-pressure game has shown signs of being beneficial, but a far stronger squad will unquestionably be needed if this is to reap rewards across 38 games.